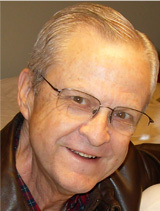 Paul T. Guay, was the pastor of Mabton Grace Brethren Church in Mabton, Washington, before retiring on July 23, 2012 passed away on November 2, 2012 after an eight-year battle with cancer. He is survived by his wife, Jane, and four children, LaDawn, Wendy, Dan and James. Our thoughts and prayers are with them in their loss of a wonderful husband and father. Paul’s life verse was: “All the days ordained for me were written in your book … before one of them came to be.” Psalm 139:16. He knew that God knew when his time was up, when his ministry was accomplished – to the minute. We thanked the Lord for all that Paul for his influence on all of us and for the vision he had passed on. Paul had fought a good fight to the last, he had run the race. Paul handed over the baton at the exact moment when he no longer could preach anymore. That experience will live in the life and work of MGBC for many years to come.